Est.1987: We Are The In Crowd // New Video for "Attention"
We Are The In Crowd // New Video for "Attention"
Ahead of their performance at Reading and Leeds Festival this weekend Poughkeepsie, NY natives, We Are The In Crowd are back with a brand new song “Attention”. The song, on Hopeless Records was produced by John Feldmann (The Used, Panic! at the Disco, All Time Low). 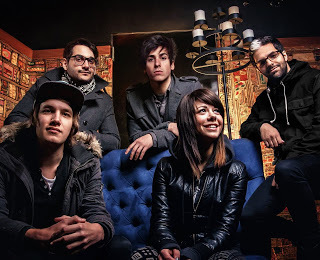 We Are The In Crowd have been busy writing for their follow up album to 2011’s “Best Intentions”. The band is currently touring Europe and will perform main stage at the Reading and Leeds Festivals. They will also support pop-punk heavyweights New Found Glory in Europe from Aug 26-29.